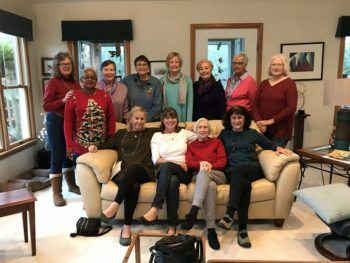 The Unitarian Universalist Congregation of the Outer Banks is home to many diverse groups that meet on a regular or ongoing basis. One of the best ways to do get know people and become connected to our community is through groups and programs. Women participate in sharing insights on different topics each meeting. This group meets monthly from September through June. Participants are asked to commit to a 6 meeting “session”, where topics selected for personal growth and insight are combined with facilitated sharing and deep listening. This is a monthly discussion facilitated by Rev. David held after the Sunday service once per month. Topics will vary. Lively conversation is guaranteed.